The is sure a big news for fans of Olamide as the rapper finally revealed the album tracklist for his 6th studio album titled “ THE GLORY ”. According to BaddoSneh the album will drop on the 26th of December same day as his OLIC3 concert. The “Who U Epp” crooner took to his instagram page to unveil what the fans should expect on the body of works. Fans are already ecstatic about the news from the comments on Olamide’s Instagram page. 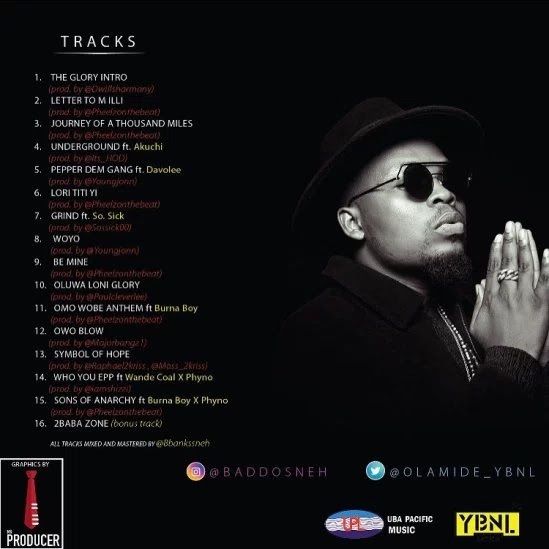 Just as Olamide hinted, “The Glory” album will be essentially rap music 100%. 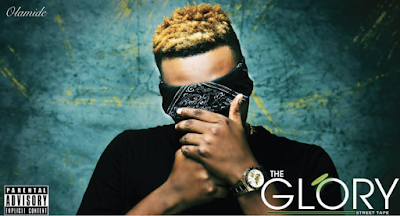 The Glory album housed some industry top shots; So sick, Burna boy, Wande coal, Phyno, Davolee, Akuchi. #WeCantWait To Grab this Album. Checkout the official tracklist cover below.